One thing have to know about me is that I do not have patience. Just ask everybody that knows me. I try so hard, and all in all I don’t do bad, but sometimes that little thing sinks into me and I can’t wait. That is today’s recipe. I made for you a such an amazing Key Lime Pie and one thing about these pies is that you need time to let it rest and firm up. I couldn’t wait anymore, I had to try it, I just had too! I waited about 6 hours or so and yes it was firm, but not firm enough. So the pictures for this recipe DO NOT do it justice. I have to admit this is the best Key Lime Pie I ever had. So don’t let the soft appearance throw you, you just need patience, which apparently I don’t have. 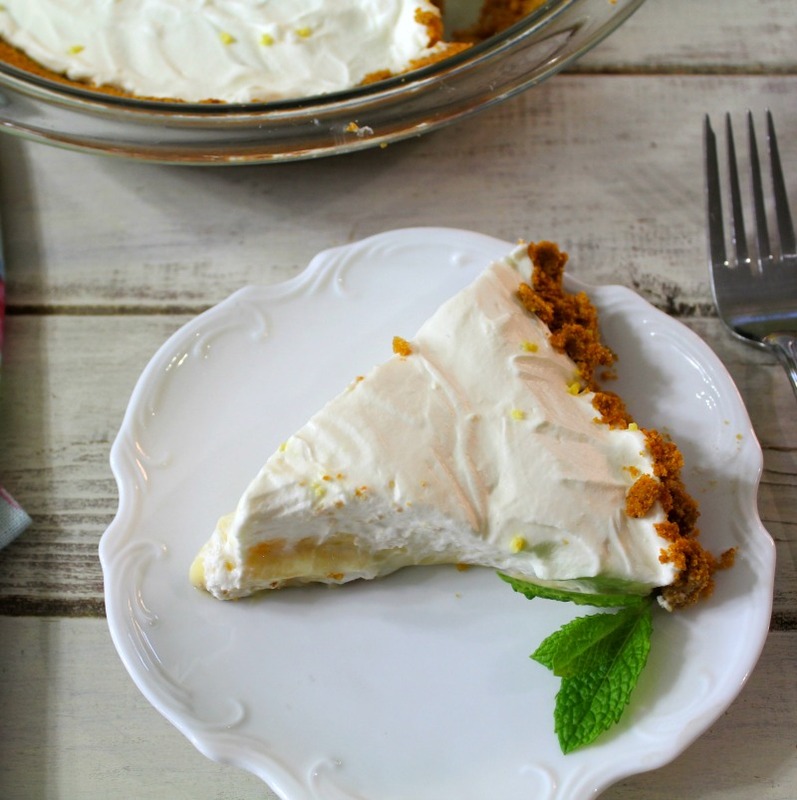 The pie is so creamy and has the perfect Key Lime flavor. It’s not super sweet, but has a nice tart flavoring and the whip cream gives it such a creamy texture. The pie really blew my mind. It didn’t last long in our house, considering there are only two people in the house. I am just in love with this pie and I will be making it again very soon. The pie is super easy to make too. I made a simple graham cracker crust with graham cracker crumbs, a pinch of sugar and melted butter. I baked the pie crust first for 10 minutes and while it was cooling I made the filling. There are very few ingredients in this pie. Oh I didn’t have key limes so I used Nellie and Joe’s Key Lime Juice, found in the grocery store next to the lemon and lime juice. 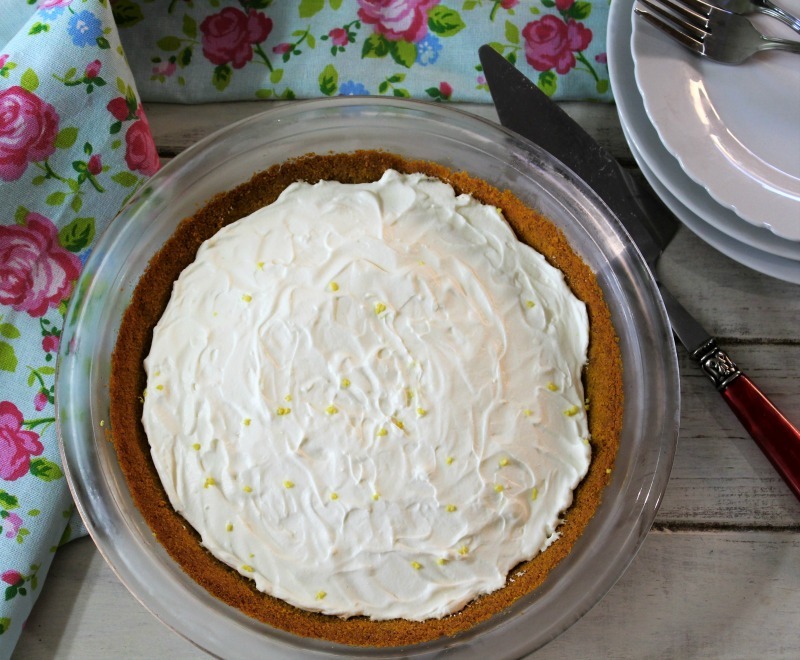 Sweet, tart pie made with key lime juice served on a graham cracker crust. Place graham crackers and sugar in a bowl. Add melted butter. With a fork, mix until well combined. 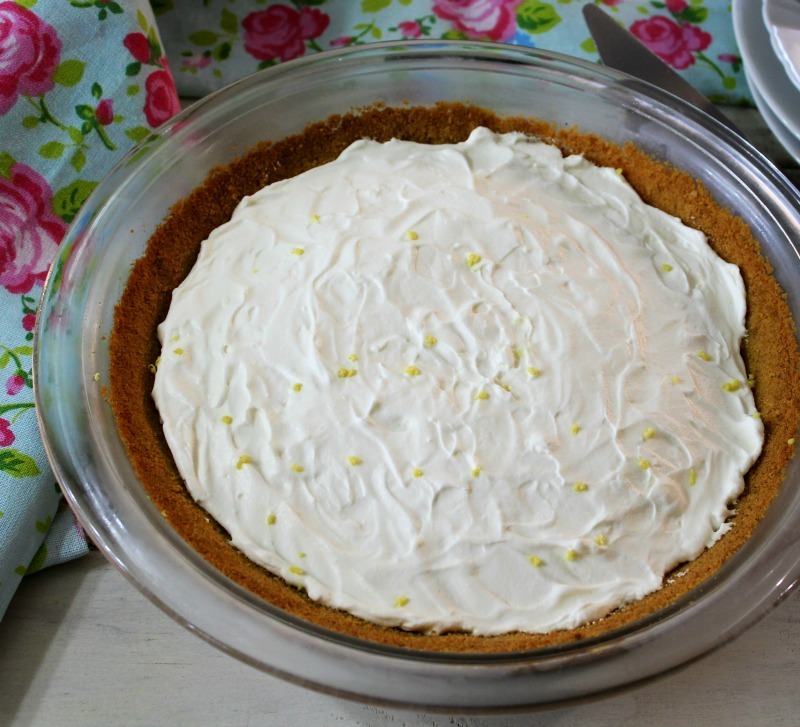 Place graham cracker crumbs in a 9" pie dish. Using your fingers, press the graham cracker mixture evenly into the pie dish. Bake crust for 10 minutes. Take the crust out and let the crust come to room temperature. While the crust is cooling it is time to make the filling. In a large bowl, add egg yolks and condensed milk. Beat or whisk until well combined. Beat in the key lime juice; until well combined. Pour mixture into pie crust. Bake in the oven for 15 minutes. 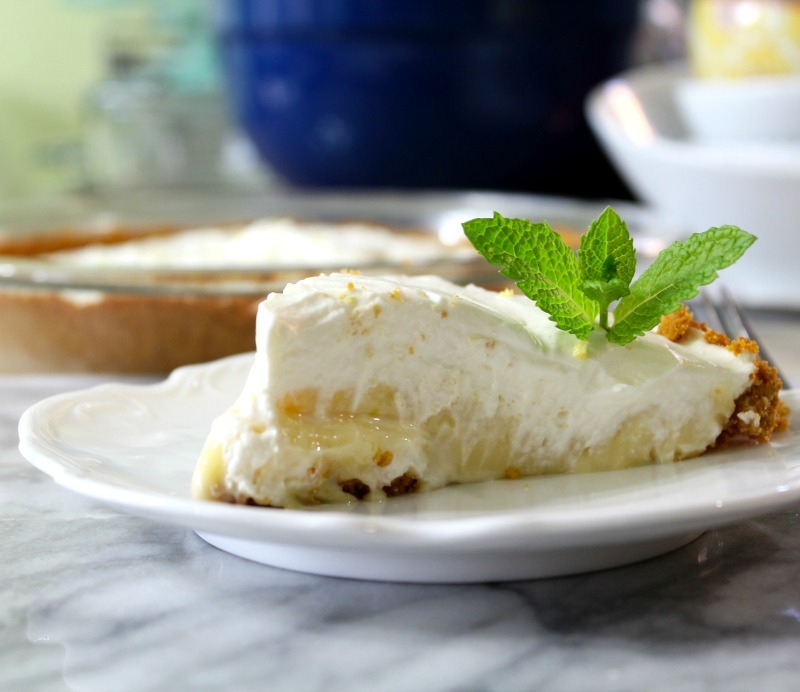 Let the pie come to room temperature, then place in the refrigerator to chill for 6 hours or overnight before serving. Before serving add the whipping cream. To make whipping cream; add 1 cup of heavy cream, powdered sugar and vanilla extract in a bowl. Beat with a mixer until soft peaks appear; about 2-3 minutes. Add the whipping cream to the middle of the pie and spread out to the edges. Add lime zest for decoration if desired. 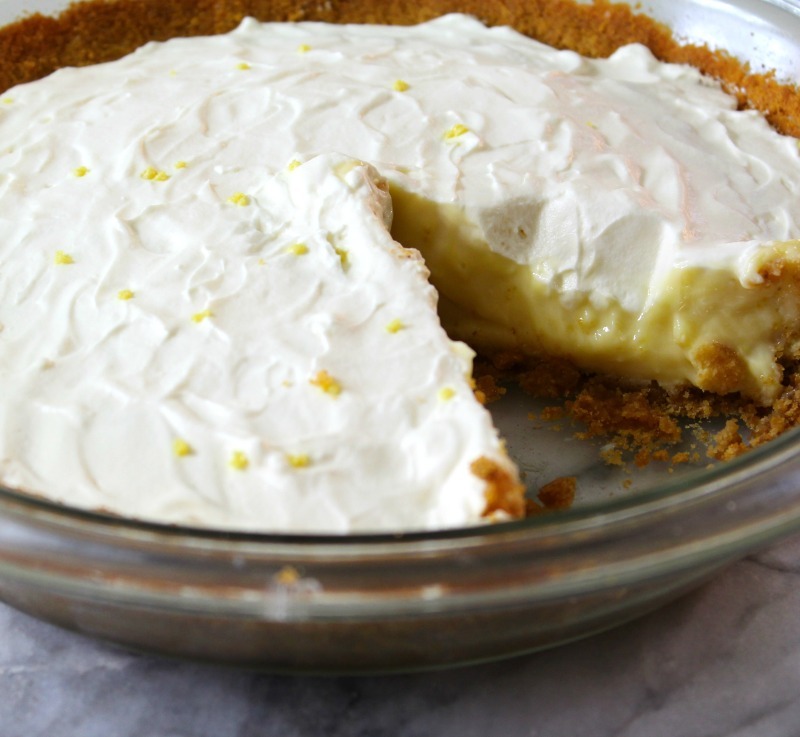 This pie will last about 4 days in the refrigerator and tastes best the next day. If you skip the whip cream the pie is only 248 calories a slice. I hope you give this recipe a try. I do love it and my Husband and I gobbled it down. if you want to see the making of the pie, you can check out the image on Instagram. By the way, my Internet is now fixed. Woohoo! It feels great to be back in the media world.